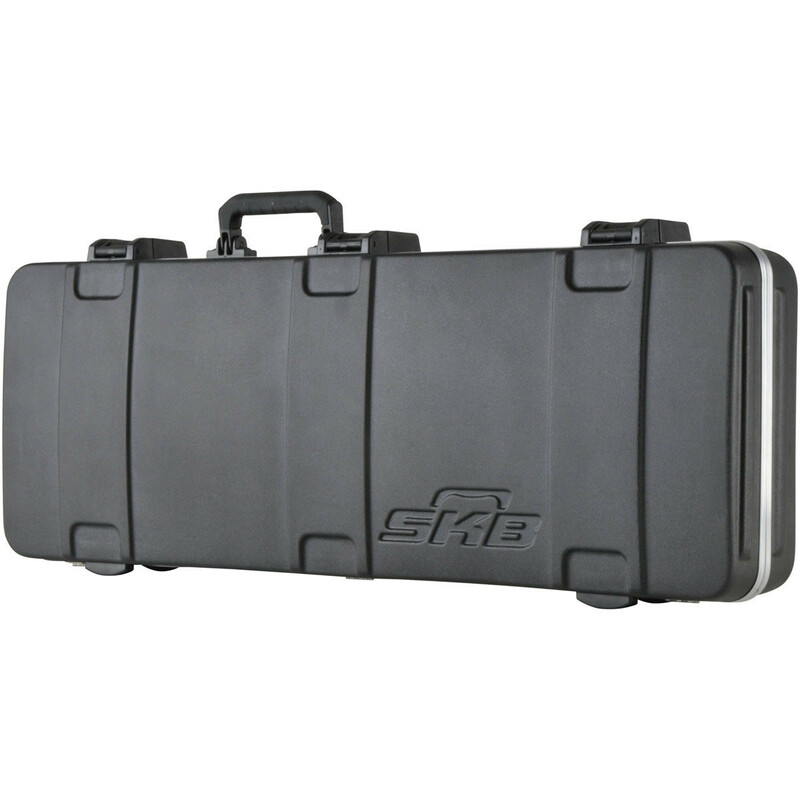 The SKB Pro Rectangular Electric Guitar Case is a highly durable electric guitar case designed to accommodate most Stratocaster and Telecaster shaped guitars. Previously manufactured for Fender, this case is vaccum formed featuring durable lightweight ABS plastic and moulded in stacking ribs for added strength. 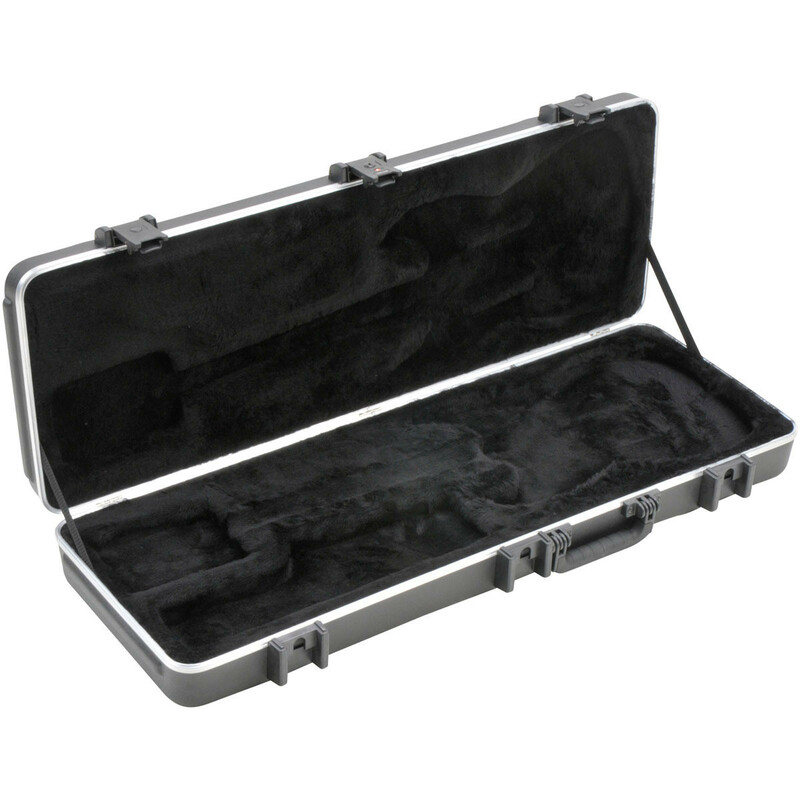 The case includes fiberglass reinforced TSA locking trigger latches and a comfortable rubbed over-moulded cushion grip handle for easy transportation. The interior features a plush EPS lining plus a large accessory compartment. This highly durable electric guitar case was previously an exclusive case for the Fender Corporation but now is only available from SKB. 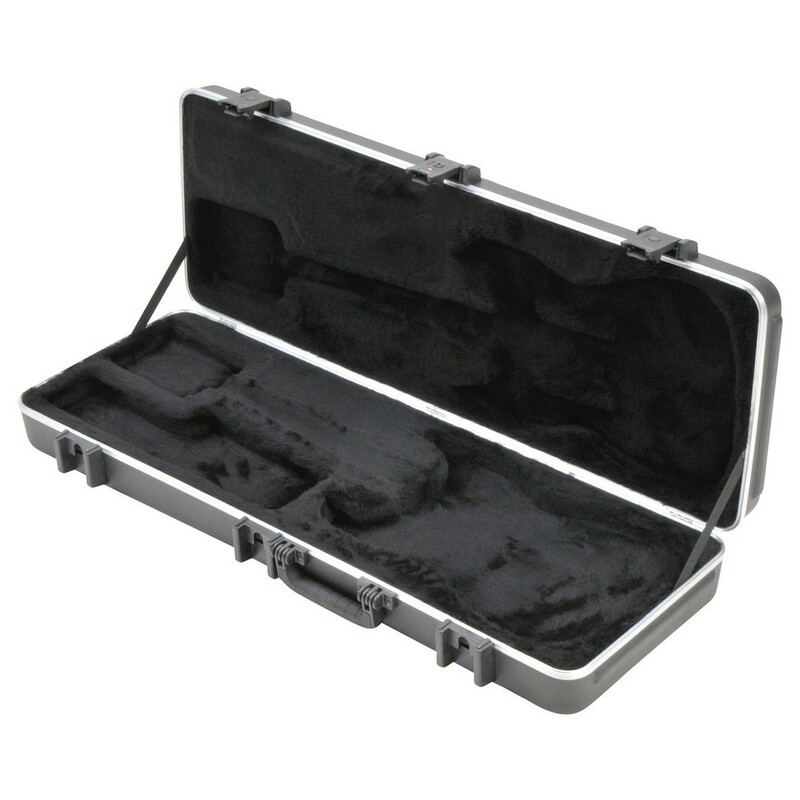 This case is designed to accommodate most Stratocaster and Telecaster shaped guitars. The case itself is vaccum formed comprising of durable lightweight ABS plastic with moulded in stacking ribs for added strength and a fully plush lined EPS moulded interior with a compartment that will hold accessories. 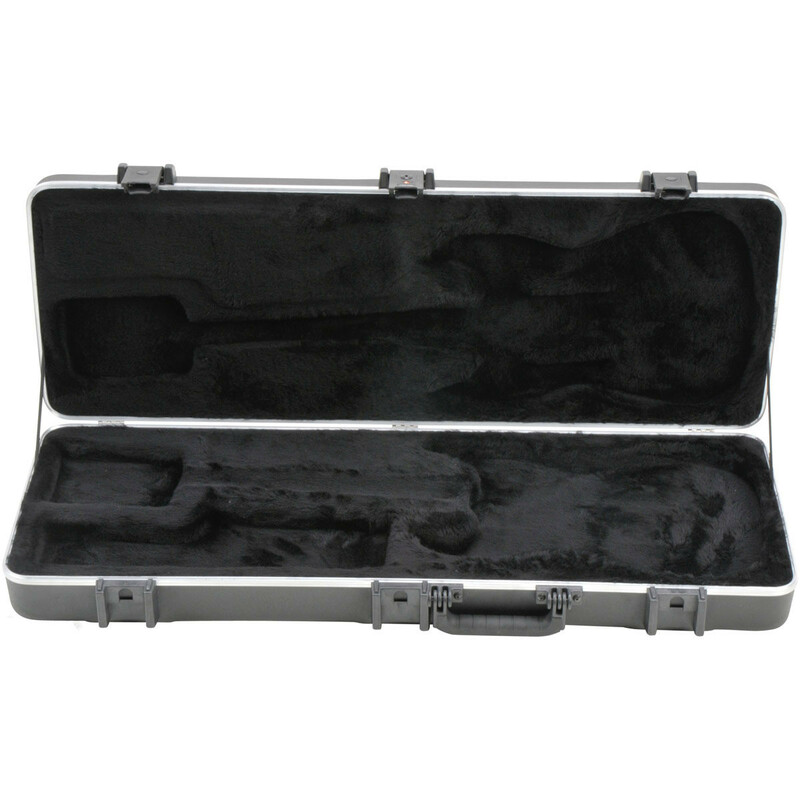 The SKB electric guitar case includes fiberglass reinforced large nylon trigger release latches with TSA accepted and recognized locks and also has an over indestructible moulded rubber handle for added comfort.